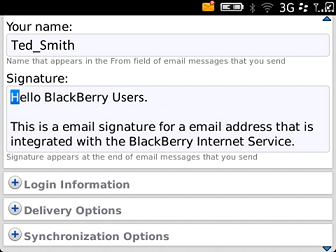 If no email addresses are listed, you have not integrated an email address using the BlackBerry Internet Service. Specify your new signature and click Save to save the change. Type a signature, Press the Menu key and select Save. 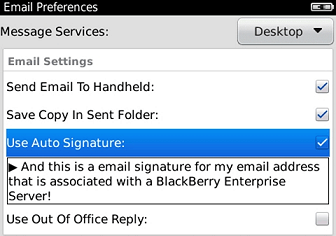 BlackBerry Desktop Software for PC 4.x to 5.x - Select Email Settings from the main menu and you’ll be able to enter your desired signature in a text field. 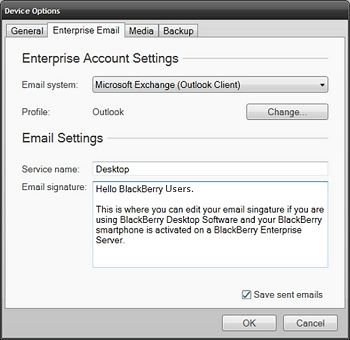 BlackBerry Desktop Software for PC 6.0 - Select Device, followed by Device Options, then Enterprise Email, which will allow you to enter your desired signature in a text field. 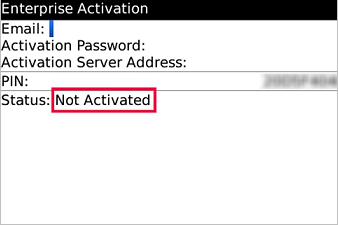 Tip: If your company uses BlackBerry Enterprise Server, you may have access to BlackBerry® Web Desktop Manager, a tool similar to BlackBerry Desktop Software that allows you to customize your BlackBerry account details - including your email signature - from a website using your desktop web browser. 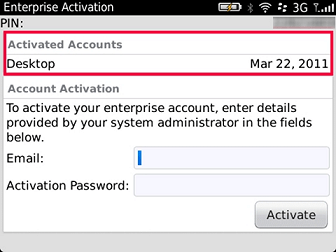 To find out if your company offers BlackBerry Web Desktop Manager, contact your BlackBerry Administrator. To learn more about BlackBerry Web Desktop Manager, click here.